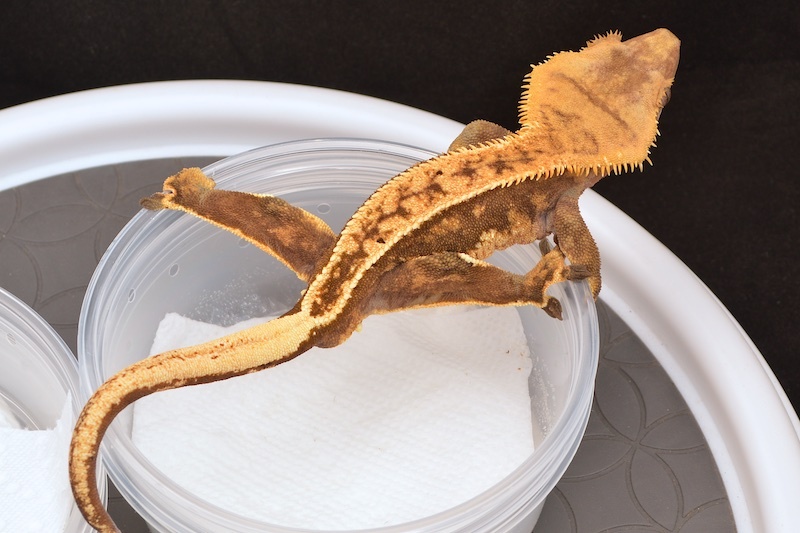 I have spent over half my life following (and breeding) genetic morphs in pythons, boas, and other gecko species, and have a very strong background in reptile morph genetics - in addition to over a decade of playing with the Soft Scales. 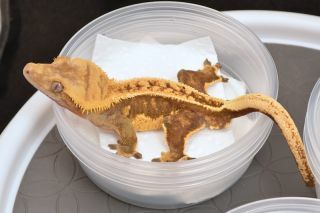 At this point, I am quite certain this is a co-dominant morph. 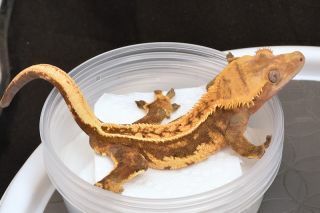 While we're still doing some final independent testing to confirm that the Supers are indeed true genetic Supers (the homozygous form of a morph), this gecko should produce all Soft Scales if bred to a non-Soft, 1/2 Softs and 1/2 Supers if bred to a Soft Scale, and all Super Softs if bred to another Super Soft. What is a Soft Scale and Super Soft Scale? This is a new structural morph that also affects color and even the eyes. See the Soft Scale Project page for detailed information and photos.